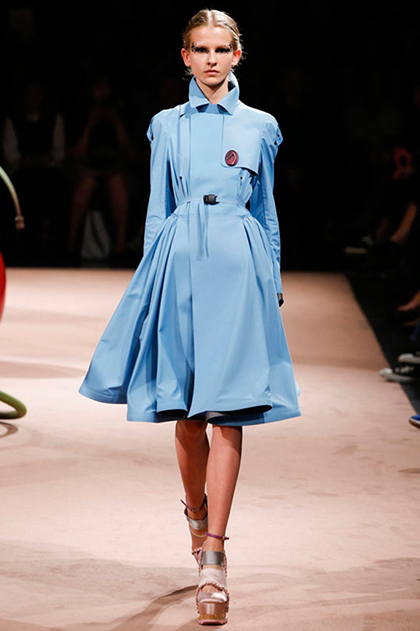 [Paris], October 3, 2014 - I've yet to be truly excited by any collection this season. Let's hope the last shows of Paris impress. Read Part I and Part III. That Akris wins for best minimalist collection this season. That Chalayan is making wearable, beautiful dresses free of gimmicks. This cool, cute Isabel Marant dress. Her designs are usually nice, but the hype around the brand is silly. 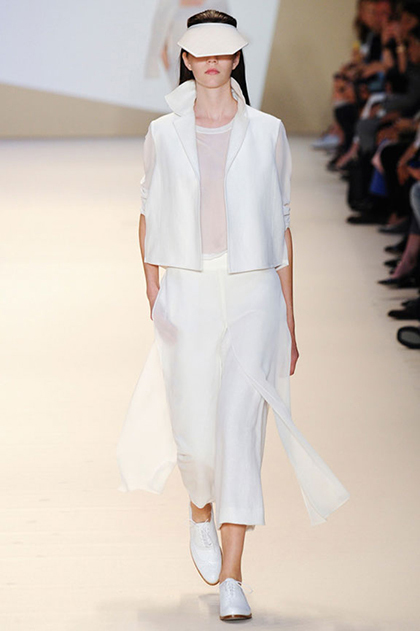 When Maison Martin Margiela looks clean but interesting. 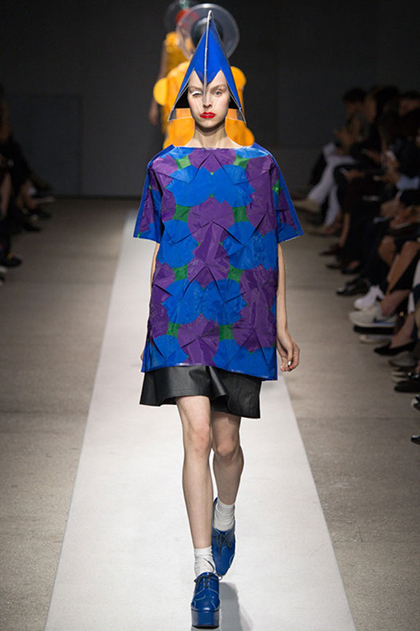 That there is something in Junya Watanabe's collection I would actually wear (this t-shirt). Haider Ackermann Spring 2015. This is a really nice collection. 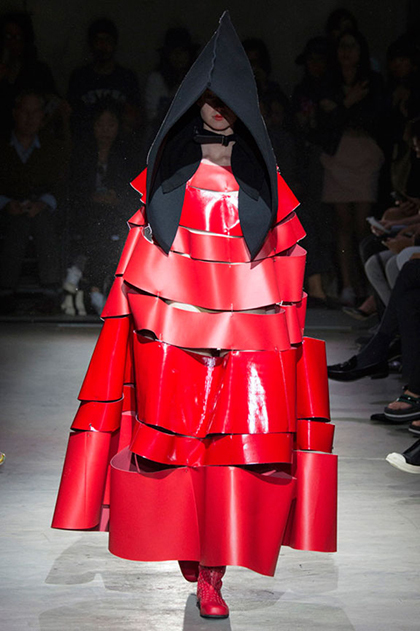 That while no one is actually going to wear their catwalk stuff, Comme des Garcons is still doing crazy ... 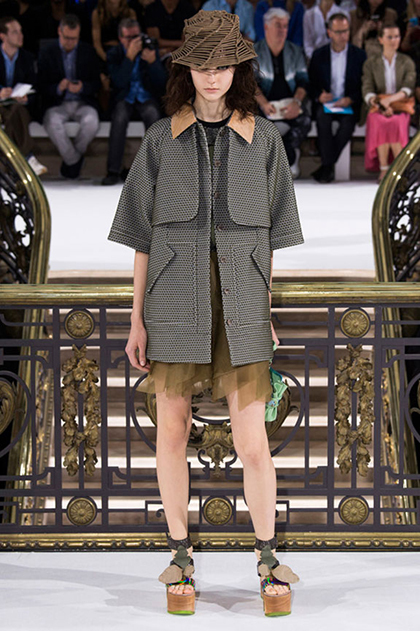 This slick coat from John Galliano. Although I disapprove of the fact that this brand is still in business. I don't see the point.